Feminized hemp seeds of breed Amnesia Haze produce stable sprouts, which makes them a fertile crop that exclusively consists of female plants. 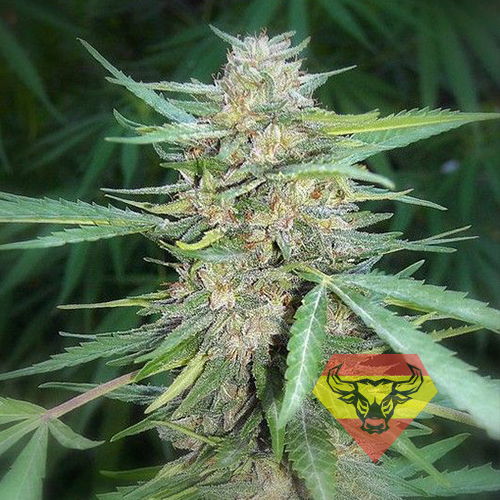 This considered to be one of the best highest-yielding bcrop varieties, producing 70-80 gr buds of a single bush. During the outdoor cultivation you can achieve high results, however while growing Amnesia Haze outdoors, it will require additional care. The plants will be smaller than the original Amnesia strain, maturing within a shorter period of time and making the growing more comfortable. Thus, the yield remains quite high and the effect won’t disgrace the ancestral species. Amnesia Haze has been bred in Holland during many years of the selection work. Creative approach and high-qualified Haze and Amnesia crossing allowed the world to recognize immense efficiency maintained by feminized hemp seeds of breed Amnesia Haze. Their genetics contains a compilation of the best cannabis qualities. Breeders wanted to make the size of plants more compact and reduce the blooming period so that a bigger number of growers from all over the world could enjoy this fabulous sative-dominant hybrid. Amnezia Haze bushes will spill sweet smells of citrus fruit fragrances with intriguing flavour of fennel, thyme and maple. The smoke has an impressive taste, which will bring a lot of pleasure with its hints of exotic fruit and sweet floral aftertaste. Powerful psychedelic effect will cloud your mind raising the thoughts over the day commonness and giving peace. That is why it is best for active entertainment, creative lessons and social games. You can grow feminized hemp seeds of breed Amnesia Haze either indoors and outdoors. If you want the hybrid to be productive outdoors, it will need hot climate, like in Australia or Spain. In less appropriate environment, Amnesia Haze needs attentive care. This strain develops well both in the soil and in hydroponic systems.